It’s time I just confess to some mad crushes I have…on people I’ve never met. But I hang on their every word. And they don’t even know it. But maybe they will someday. And maybe you’ll crush on them, too, if I tell you about them. Which, by the way, is a bunch of crap. There are a number of things in life that I am not good at and never will be better than mediocre (or “middlin'” as my Granny would say) at. There are a few things I consider strengths and I enjoy using those and find it fairly effortless to use them. More about them in another post, perhaps. He changes the way I think about my life. Every single time I read another one of his books or watch one his videos. Even if I’ve read or seen it before. 2. Hugh MacLeod (a/k/a @gapingvoid), the cartoonist. I have no idea what he looks like, but he’s irreverent, sometimes crude, and incredibly thought-provoking. And he has made a living drawing cartoons. Gotta love that. Although I’m not a particularly visual person, I rather dig his scary little monster figures. 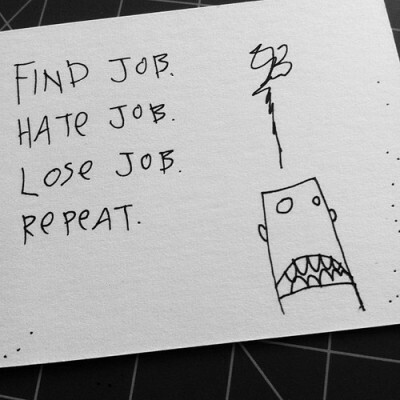 From @gapingvoid’s blog. This particular cartoon resonates. 3. 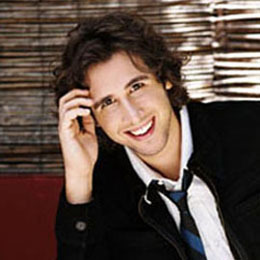 Josh Groban – this one will be of no surprise to my husband. Why this kid? Have you heard him sing? Voice of an angel. 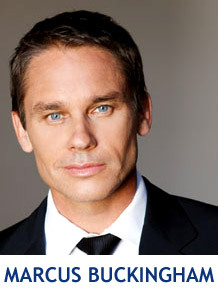 And he’s pretty darn funny, too (on Twitter, I mean…it’s not like he calls me to chat). So I confess to being a music cougar. Love his music, have seen him in concerts(and this introvert doesn’t GO to concerts…but I went to his), watched him on Ally McBeal way back when, on Kelly & Whomever more recently when he was a guest co-host. Handsome young man, isn’t he? Geez, I sound old. As with the visual thing, I don’t have much of an “ear” for music. Music’s music to me. I turn on the radio and I’m done with it. But Josh’s music reached me when no one else’s did. So much so that I went out and bought the CD (ok, it was a few years ago – when he was 12 or something). It was my first music purchase in about a bazillion years. I own them all now (yes, as downloads…I’m not THAT old). So there you go. Strengths, irreverent cartoons, wonderful music. And for my sweet husband of 13 years…thanks for understanding, honey. You’re still my biggest crush. Carpe people who change your life for the better.